Here is another important novelty completed a few months ago! 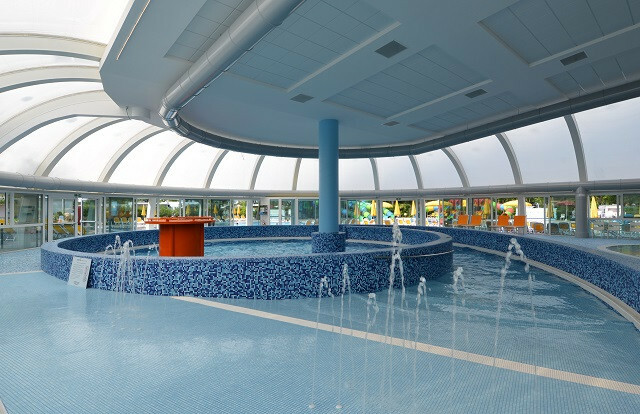 To the delight of the little ones, we show you the new heated wave pool on the ground floor of the structure built in the center of the campsite. Perfect for spring and autumn holidays, this space is designed to spend carefree days with your family even when the weather does not cooperate. You can swim and play with your children having fun with the generated waves but always under the careful supervision of the staff. 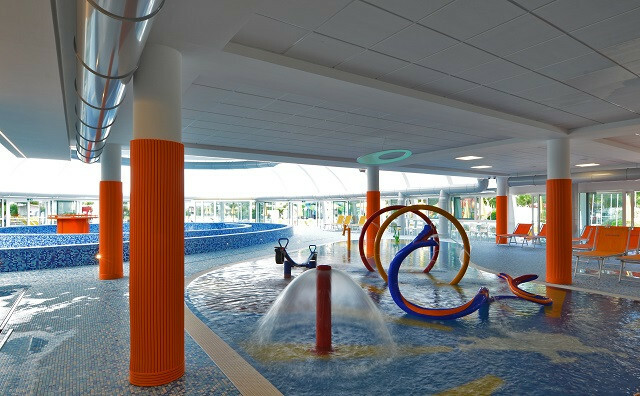 Or you can enjoy the many splashes and water jets in the colorful play area. Changing rooms and lockers are available in the basement. And when the weather gets better? There are external slides of course!